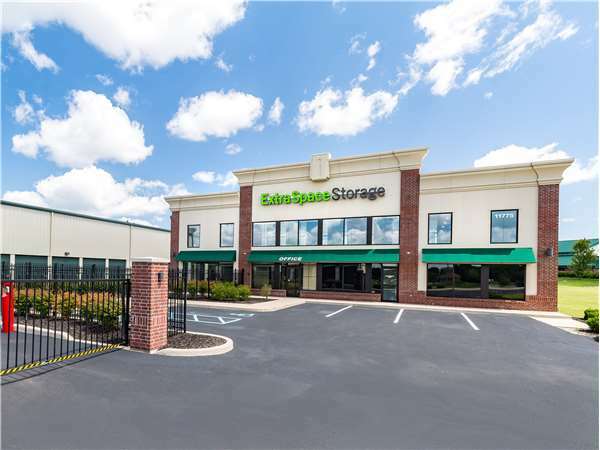 Located near the intersection of Brooks School Rd and E 116th St, Extra Space Storage serves residents of Fishers. Locals will recognize our facility near Brooks School Park and The Promise Church. Extra Space Storage on Brooks School Rd offers a wide range of storage units, climate-controlled storage, vehicle storage, and exceptional security. We're your ideal self storage partner in Fishers! With unit sizes from 5x5 to 15x30, our Fishers storage facility can handle practically any storage need you have! We also have units with convenient features like first-floor access, drive-up access, and more! At Extra Space Storage, we utilize top-notch security measures like an on-site manager, 24-hour video surveillance, security access to your floor only, and electronic gate access to ensure you and your belongings are well-protected at our Brooks School Rd facility. Concerned about storing temperature-sensitive items? Protect them all year with climate control! Units with this feature stay between 55 and 80° at all times, keeping your items safe from extreme heat, cold, and humidity. Climate-controlled units are available in sizes 2x10 to 10x30, and some include drive-up access for added convenience! Extra Space Storage offers secure vehicle storage in Fishers! With 10x20 outdoor parking spaces and 10x10 to 15x30 enclosed drive-up units, we can handle cars, motorcycles, boats, and RVs. Why do so many people choose Extra Space Storage? We're dedicated to providing high-quality self storage and excellent service. Our facility is always well-maintained and secure, and our friendly, professional staff truly cares about delivering a positive storage experience. Contact us today to reserve a storage unit in Fishers! All the people I worked with at Extra Space storage were extremely helpful and understanding of our business needs. Was really impressed with how quickly they responded to my online request. Happy to find an online price promotion, but the man helping me was also helpful in offering other options that may be better suited to my needs. He was very friendly, helpful and easy to work with. I was a little worried about the second floor unit, however the provided carts help A LOT and the elevator is huge. Very impressed with how clean and nice the units are. Great location. I could easily walk to it if I needed. Extremely friendly and caring personnel. Made it a seamless transition. Units are well kept and accessibility is super simple. I love my storage unit and you will too! 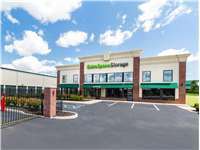 I had a wonderful experience with Extra Space Storage on Brooks School Road in Fishers, IN. Previously the company I worked for had a storage unit there and it really helped with our business in terms of location and ease of access. When I decided I needed units for my personal use I didn't hesitate to utilize Extra Space. Kyle Geshwilm, the store manager, was very responsive to my inquiry and answered all my questions. He is very knowledgeable and really helped me decide what was the best unit size for my needs. The other manager Chris was also very helpful and extremely positive and professional. Every time I come thru the gate and he sees me he acknowledges I am there. One of them is always around if you need anything. My units were well maintained and the entire property is kept very clean. I always feel very safe and protected when I visit my units. Is this the cheapest place to rent a unit? No...but you get what you pay for! I am trusting my household belongings to this company and I don't want cheap. I want quality, reliability, and security. That's exactly what I have with Extra Space Storage. Highly recommend! Great people! Helped with a very stressful move! If you need storage in Fishers, IN - no need to shop around - clean, friendly, safe, convenient and affordable. Clean and very easy to rent. Reasonable price. This place has their act together ! Service was great and the process was easy. Site was very clean. Great location, super clean, highly recommend. Kyle the store manager was so helpful and a pleasure to work with! This company was wonderful to work with. The sales associate was extremely helpful. Moving was s stressful time for me. The sales associated helped me understand everything I needed to do to make my move successful. Very well maintained and secure... HOWEVER. My bill from 7-7-2016 was $86... next bill... 5-7-2017 is $102. A 19% increase in a little over 10 months... ridiculous. Starting to show around now. The facilities here are emaculate! Clean, lighted and very secure. The people at the desk make sure you understand everything you'll need to know. Shop around and you'll never go anywhere else. This facility is super clean, well maintained and clearly secure. Good drainage, built on high ground. Professional staff who are articulate and helpful. Climate controlled area on second floor was competitively priced- paid a whole year up front and got the 13th month free. First time using a storage facility and very satisfied with the space, ease of getting to it and security that comes with it. Great customer service and very highly recommended! Head south on Brooks School Road toward 116th St. Once you drive past Gray Eagle Golf Course the facility will be on your left behind the Marsh Grocery at 116th and Brooks School Road. Take Fall Creek Road towards Brooks School Road. At the traffic circle, Take the North exit onto Brooks School Road toward 116th St. Once you cross 116th St, the facility will be just behind the Marsh Grocery on the right. Head West on 116th Street, Turn right onto Brooks School Road, Facility will be on the right after Marsh Grocery and across the street from Brooks School Park. Head East on 116th Street, Turn left onto Brooks School Road, Facility will be on the right after Marsh Grocery and across the street from Brooks School Park.